1)	Firstly, the most important requirement for a bhajan session is the bhava or the feeling to connect with the Lord through collective singing. For this we do not necessarily need any musical instrument, whatever our limbs provide us is great to start with. If our vocal chords sing loudly and our hands clap energetically, we have everything needed for a great bhajan session. In fact when Bhagawan started the Sai Bhajan movement with 'Manasa Bhajare Guru Charanam' He had no instruments accompanying His singing. 2)	Secondly, yes, a little musical support with melody from a harmonium and a rhythm support from a tabla does add to the beauty and energy of a bhajan session. If not a melody instrument, atleast a simple kanjira or talam will help to make the session vibrant. It is best if some devotees who have a little inclination towards music pick up basic musical lessons and then practice to make every bhajan session more melodious than before. 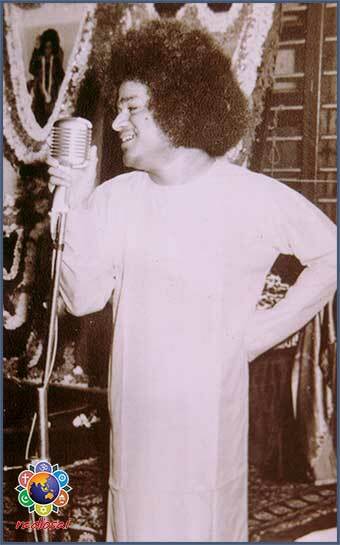 Indeed, Bhagawan physically encouraged hundreds of students and devotees over so many decades to hone their talents so that they can be of use to the Lord. 3)	Thirdly, if we have a reference track to practice, it will go a long way in aiding a devotee to prepare well in advance for a forthcoming bhajan session. It is to help such devotees that we began this new initiative in July 2017 to offer Karaoke tracks of a few popular and easy-to-sing Sai bhajans. We believe this will also help many Sai centres in countries where the lyrics of the bhajans are rewritten in their local language, say Chinese or Russian, but the tune remains the same. In these places, devotees can easily sing along listening to these Karaoke tracks. The Sarva Dharma Choir is a group of Sai musicians from Europe engaged in disseminating love and harmony. This is a video of these Sai devotees using the Radio Sai Karaoke tracks for a bhajan session in the Radio Sai studio in Aug 2017. After the overwhelming response we received to our first batch of Karoake tracks, here is another set of nine bhajans along with the Sarva Dharma Prayer, Asatho ma Sadgamaya Hymn and the Mangala Arati. Reference Track - The standard tune of the bhajan along with the vocal and the instruments. Reference Scale - This is the Karaoke Track in the standard scale of the bhajan. The "introduction music" for every bhajan is the first line of the bhajan played on an instrument. So the singer can begin to sing along as the introduction music ends. Half note lower - This is to facilitate more singers with varied voice ranges to utilise these tracks. One note lower - Here the Karaoke track is one whole note lower. Important Suggestion: When you are playing these tracks for Sai centre bhajan sessions, keeping the speakers in front of the group will help to ensure that everyone is in sync with the rhythm of the bhajans. The scale "D Pancham" is good for both gents and ladies. The intro music for all the prayers too is simple to grasp.